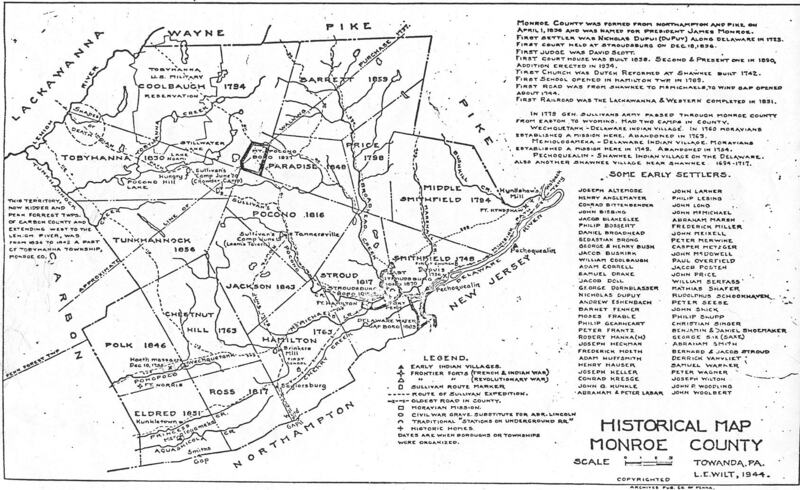 1944 Monroe County Historical Information Map. 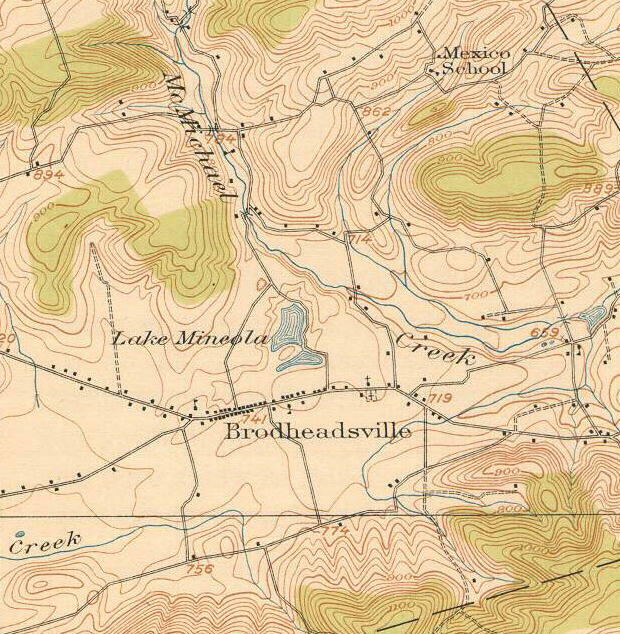 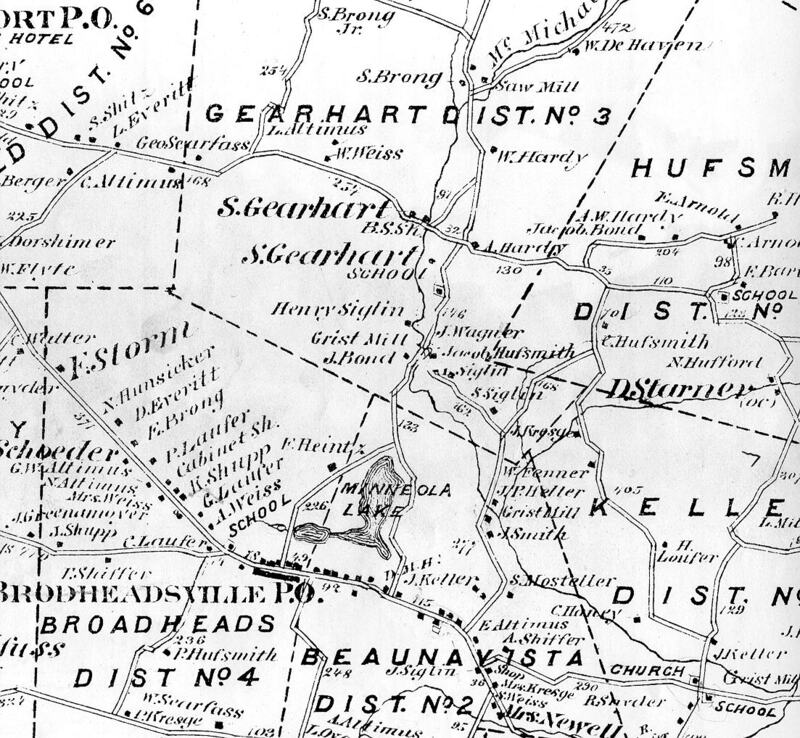 1875 Brodheadsville area from BEERS Monroe County Map. 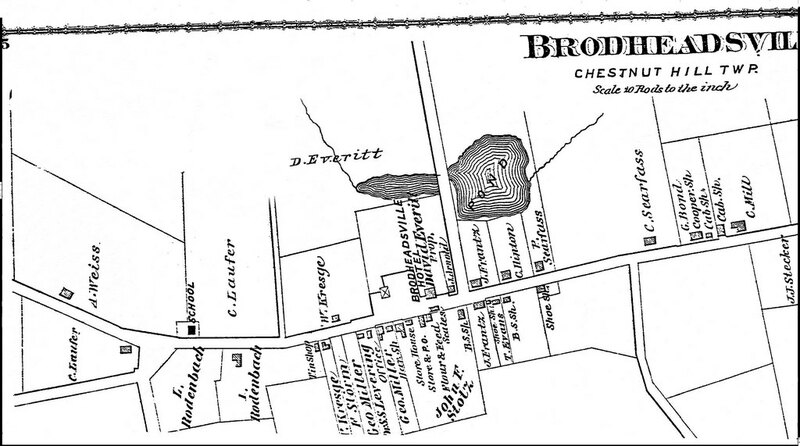 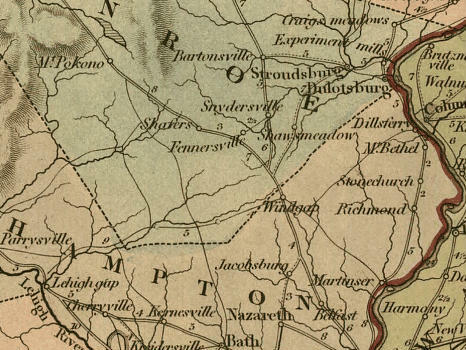 1834 Railroad map showing Brodheadsville as then called Shafers.